BRAIDS – For autumn, braids and plaits seem to be the main hair trend all over the fashion world's catwalks. This season Alexander McQueen and DKNY models came with cornrows, Marc by Marc Jacobs and Creatures of the Wind had plaited pigtails and knotted plaits could be spotted at Givenchy. No matter, if you are going for a playful or more elegant look, braided hairstyles go well with almost anything. Also they look terrific with a coat and other autumn wardrobe. PILED EYE SHADOW – Recent runway shows are dominated by dark and heavy eye shadows that often extend beyond the lower or upper lids. Supermodels like Clara Delevingne totally rock the moody makeup trend, which can be worn for any occasion and perfectly captures an autumn-like aura. 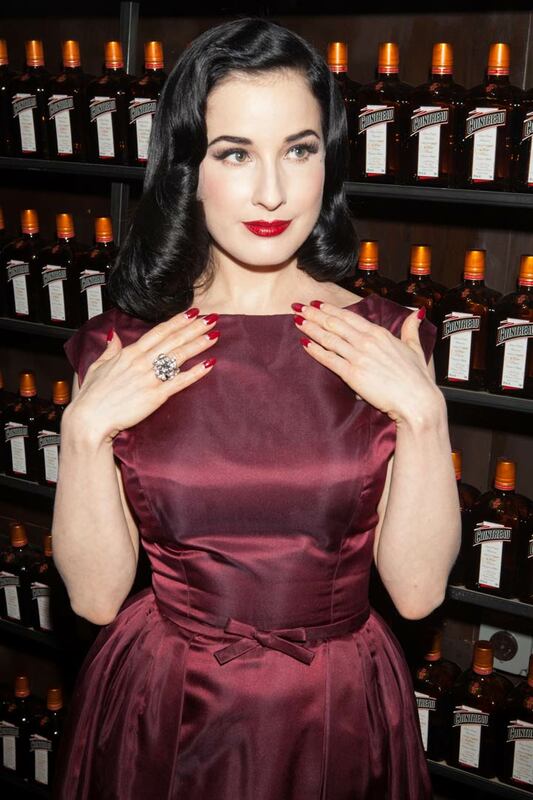 OX BLOOD NAILS – Who else but Dita van Teese could top off a stunning look with some Ox blood-colored nails? Well, this autumn you can! Ox blood definitely is one of the trend colors of the upcoming autumn season and makes for an amazing combination with earthy tones, black or different shades of red. SLICKED BACK HAIR – Iggy Azaela shows us yet another variant of what a classy autumn hairdo can look like. As seen during recent runway shows for Jeremy Scott and Christian Dior, the slicked back hair will be an autumn all-rounder, no matter if you are aiming for androgynous sophistication or a fresh-out-of-the-shower look.